Ok ok, so it’s not quite Grand Theft Auto (GTA) simply transported to a Wild West setting, but it’s not far short of the mark either. Fortunately, if, like many nowadays, you feel that GTA IV was generally wildly overrated at the time of its release, then that shouldn’t necessarily put you off Red Dead Redemption (RDR). Indeed, I include myself in that grouping, so you need only look at the score to see that RDR offers something, to me at least, that GTA IV lacked. Unfortunately, if you want to find out what that is then you’ll have to read the rest of this review, and for that you have my apologies. 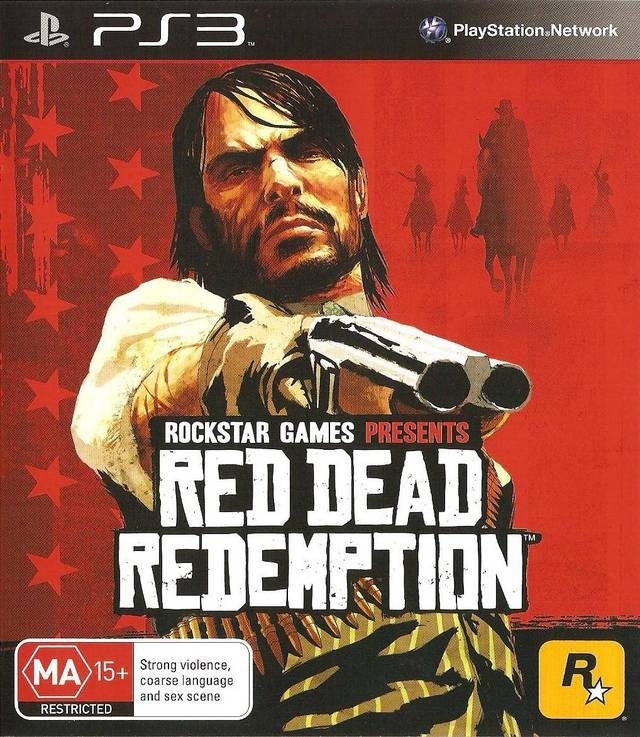 The story of Red Dead Redemption is largely a familiar one; John Marston, a former outlaw who’s turned his back on his old life and become an honest family man, is drawn back into his old ways when government agents kidnap his wife and daughter and hold him to ransom. His family will be returned safely, or so the government agents say, if he’s able to track down and kill/capture his former gang members. Not much of a story, you might think, but for the most part it’s told surprisingly well and with finesse. The themes of the growth of federal government, the spread of ‘civilisation’ and all that it entails, including the death of the Wild West, form a strong backdrop to the central relationships which develop between characters. This is true more of some parts of the story than others though. The story splits into three key Acts and an Epilogue, and without spoiling any of the details I found the first Act in particular to be superb, but Rockstar drop the ball towards the end of the second Act, seemingly falling back on a GTA style of storytelling. Key characters begin to deliver lengthy pseudo-political and philosophical monologues, and the plot becomes farcical as Marston (a supposedly deadly and only partially reformed outlaw) is made out to be a pathetically gullible fool, with various characters taking advantage of his generosity without any quid pro quo, just to keep the story going. Fortunately, things return to form slightly towards the end of the game, but it never returns to the excellent storytelling of the first Act. Complimenting the story is beautiful presentation. There are huge landscapes which vary from snowy mountains and vast deserts to Mexican villas and typical western towns. There are full day and night cycles which make excellent use of the lighting effects, and variable weather patterns (the rain and lightning storms particularly standout), etc. Rockstar really nailed the atmosphere for Read Dead Redemption, and topped it all off with great graphics and a brilliant art style. You may notice a few graphical glitches during your time with Red Dead Redemption, such as freezing on the loading screen, men turning into cougars, that sort of thing. However, these are minor blemishes on an otherwise incredible looking game. Sound design also stands out; the low rumbling of thunder in the distance and the crack of lighting is extremely convincing, and the snaps of gunfire and ricocheting of bullets during shootouts captures the feel of Western films well. The voice acting is pretty good. Whilst it is well suited to setting, the music can at times be a little bland (in the case of background music) and clichéd (when you hop across the border to Mexico). Gameplay is where the comparison with GTA IV is perhaps most appropriate, thanks to Rockstar’s familiar open world style; the mission structures, controls, HUD, wanted levels, shooting and cover systems all evoke strong memories of GTA IV. Using horses for transportation and the more dated weaponry obviously proves a stark contrast, but those aren’t the only substantive differences. Red Dead Redemption has a much more sedate and laid back nature at times. You’ll find yourself often performing tasks which wouldn’t feel out of place in a Zelda game such as; helping out on a friend’s ranch, herding cattle, and breaking in horses. 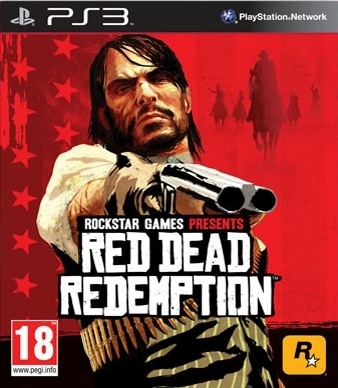 Of course, this is a Wild West Rockstar game, so there’s plenty of gory violence, ‘mature’ storyline content and ingenious ways of harming fellow citizens; so Link needn’t worry too much, but these more homely storyline missions are a wonderfully unexpected change of pace and they really drive the character development forward more than any other segments of the game. It also breaks up the action nicely. 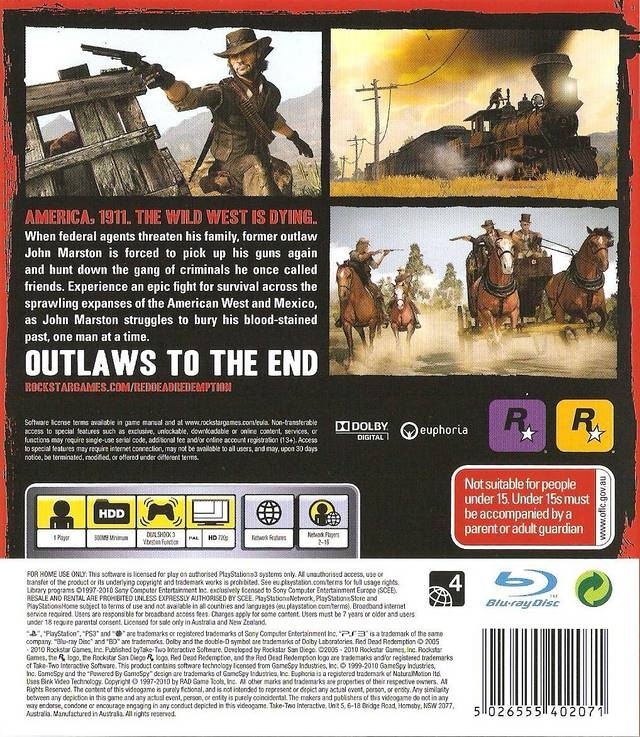 You will, of course, get to engage in all the great Western set-pieces such as; defending a speeding steam train from bandits, taking part in huge shoot-outs with bullets ricocheting all over the place, and chasing down and lassoing wanted criminals. These are all great moments, but they’re made even more special thanks to the level of mission variety in Red Dead Redemption. One of the best gameplay features in the game is the ‘Dead Eye’ system, which is accessed with a simple click of the analog stick. It nicely compliments the already strong shooting gameplay. 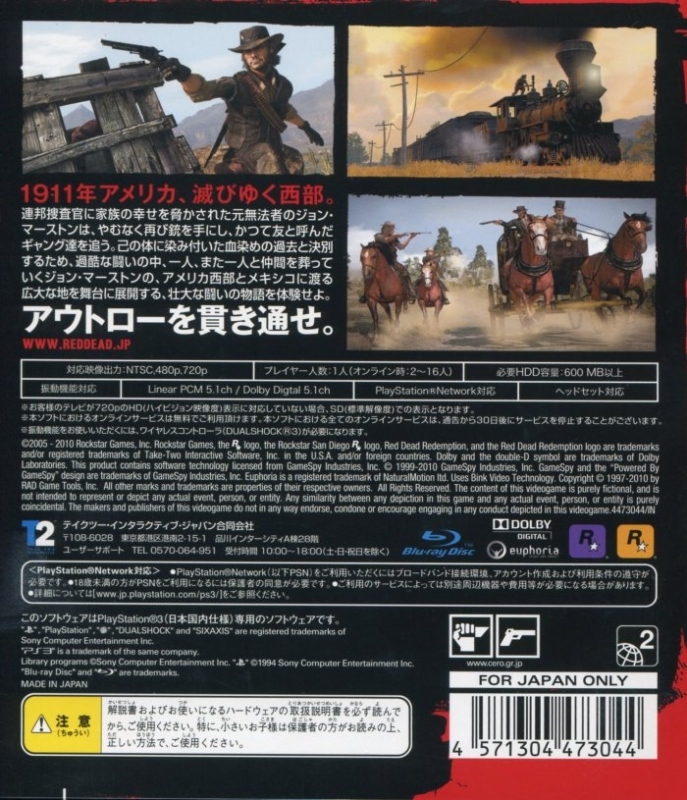 Dead Eye is a bullet-time shooting mechanic which evolves over the course of the game. Initially, it merely turns the screen sepia-coloured and slows down time, but eventually you’re able to target specific body parts of your enemies (be they lawmen, outlaws, ordinary citizens, or animals) and then unleash a barrage of expertly placed bullets. 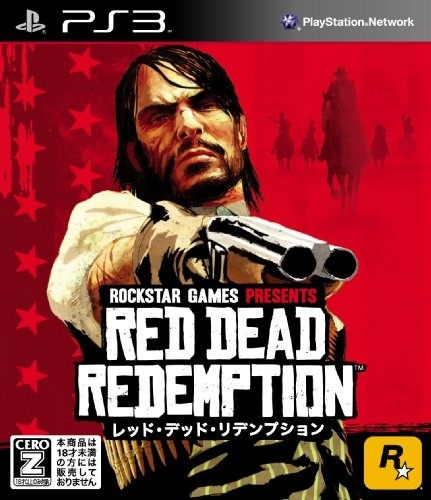 RDR also utilises the GTA IV cover system, which isn’t as intuitive and easy to use as in other recently notable Third Person Shooter releases, but it works adequately enough. I do have a couple of qualms with the gameplay. Firstly, whilst the ability to theoretically save almost anywhere in the game world is a definite step forward for Rockstar, the saving mechanic does feel outdated. As long as you’re not on a road, near water, or in a populated area you can set up your camp and then save. The problem is you have to go through the same short, identical cut scenes every time. 'Dumbing down' accusations be damned; the ability to simply save via the menu would be a whole lot quicker and much more user friendly. Similarly, the ability to ‘fast’ transport almost directly to most destinations is more than welcome. This system also more often than not forces you to set up camp. Sometimes it’s not an option, and that’s understandable, but most missions require you to ride alongside an NPC colleague and they can be frustratingly slow movers at times. Fortunately, the horse riding controls are superb, your colleagues will often chat with Marston during the journey, and the vistas always impressive; so it’s some time before these journeys become tiresome. It took me 15 hours to complete Red Dead Redemption’s campaign, at which point I had completed roughly 70% of the game, according to my stat page. 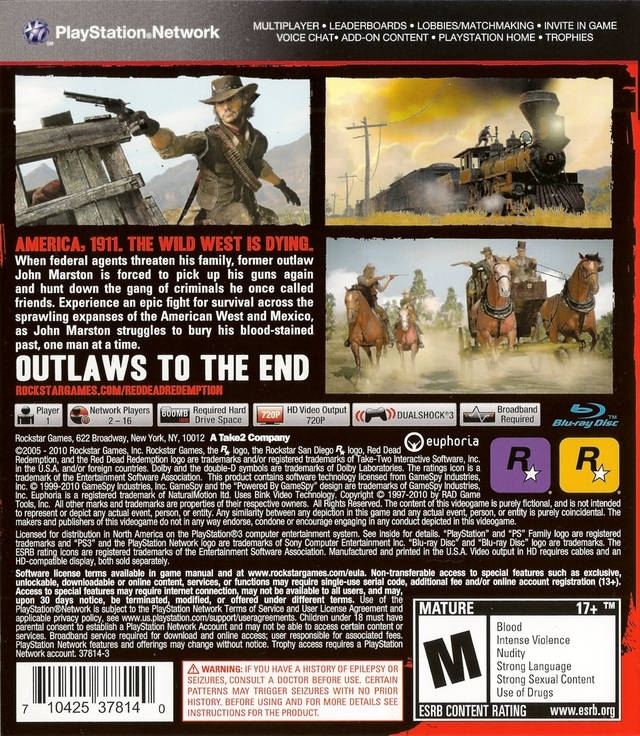 This illustrates precisely how much content RDR includes; as well as the main missions, there are plenty of side quests, which vary from helping out strangers and picking flowers, to taking over gang hideouts and capturing wanted criminals. On top of that there’s a wide selection of minigames available to play, all fully thought out and well integrated into the game (much like the pub games in Fable II) including: full games of poker, blackjack, horse shoes, arm wrestling, liar’s dice, and five finger fillet. As with the Fable II pub games, however, I didn’t find them particularly enjoyable, and they’re often too long-drawn thanks to their animated scenes, but there’s potential for them to take up a lot of your time if you do enjoy them. 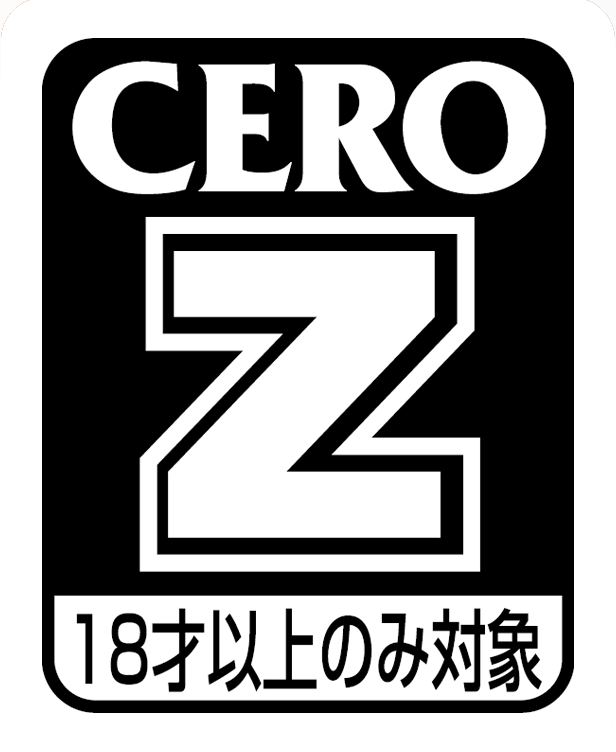 Finally, there’s the multiplayer component. Red Dead Redemption’s unique selling point in this respect is its ‘Free Roam’ system. Free Roam acts as a kind of lobby, adversarial sandbox, and cooperative campaign all rolled into one, and is your first port of call for multiplayer. 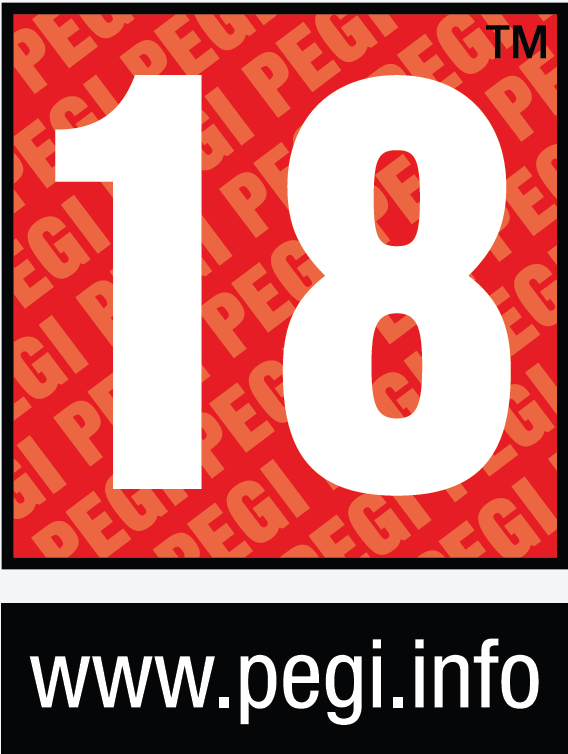 The game automatically places you into a match where the entire single player world is at your fingertips and up to 15 other players are placed in there with you. From here you can do your own thing; be it completing various quests as you would in single player and killing any players you come across, forming posses by teaming up with your fellow players, or entering a more traditional game type (Team Deathmatch, FFA, variations on Capture the Flag (called ‘Grab the Bag’), etc.). To start with you’re given a lowly level 1 character and an embarrassing donkey instead of a horse. 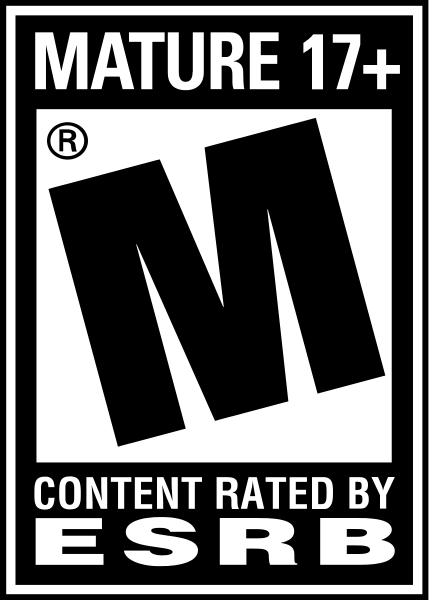 As has become de rigueur in online multiplayer games of this kind, there is an RPG-like leveling system, so if you want If you want to unlock new characters, titles, transportation types, and other upgrades then you’re going to have to kill people, win matches, and complete challenges in order to earn experience. These more structured multiplayer offerings feel fairly standard; it’s not disappointing, there’s just nothing truly compelling on offer. The ‘Free Roam’ is much more enjoyable and is more inspired; it’s almost a full co-op campaign in its own right, except without a distinct storyline. 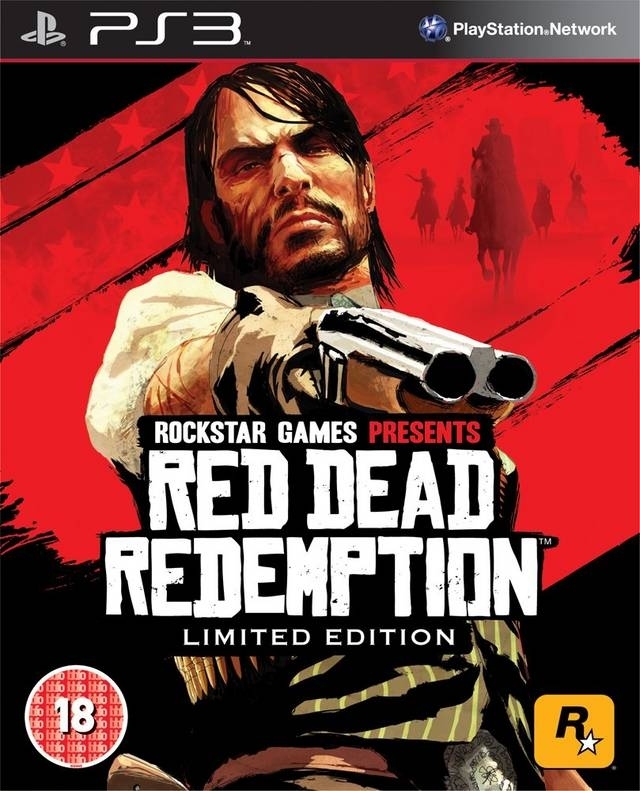 Red Dead Redemption excels in one key respect; that of bringing the Wild West, which is such an iconic and instantly recognisable vestige of the film world, to life in an actual videogame. The art style is excellent, the storyline and characters often interesting and sometimes even endearing, and the atmosphere is pitch perfect. Of course, it’s not without its flaws, and Rockstar seem to partially lose faith in some of the elements which distinguish it most from the Grand Theft Auto series, particularly when the story heads towards the end of its second Act. 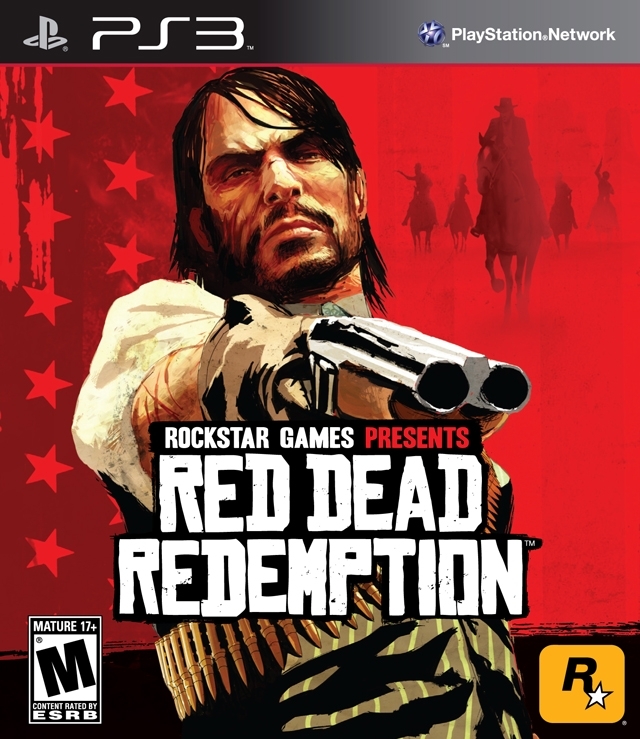 Nonetheless, Red Dead Redemption strikes out as its own game despite the similarities, and is much the better for it.